I liked this show at the time. Of course I was 9 years old then and can’t remember anything about it but the cast, but I seem to recall I had a good time with it. I can’t remember watching the show at the time. Maybe that’s why I’m so rough on it now. Wow, I remember it well. 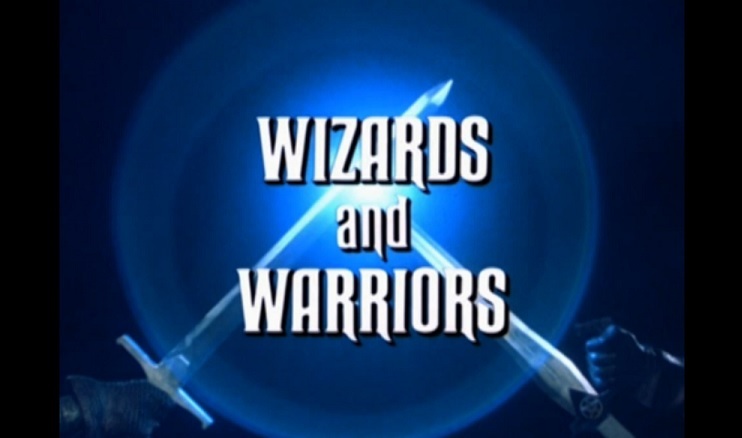 All the long swords in our D&D games had daggers in the pommels because of this show. I remember a magical monocle showing up too. I can’t justify $25 for it, but I love knowing it’s out there. I still remember the episode where the villain made them go through a gauntlet to retrieve the key that would stop a magical bomb, only to reveal that he’d lied and used a fake key. Even at a young age I liked smart villains. Holy cow, I never thought I’d see the day. I watched the show at the time and wanted to like it because, hey, D&D…or W&W. I recall thinking Julia Duffy’s tri-peaked hat was silly. Where was I when W&W came out? It’s possible I blocked it out (like the movie Thrashin’) because it was, to me, such a betrayal of its sources. Could I have been that self-righteous at 11 years old? Probably.